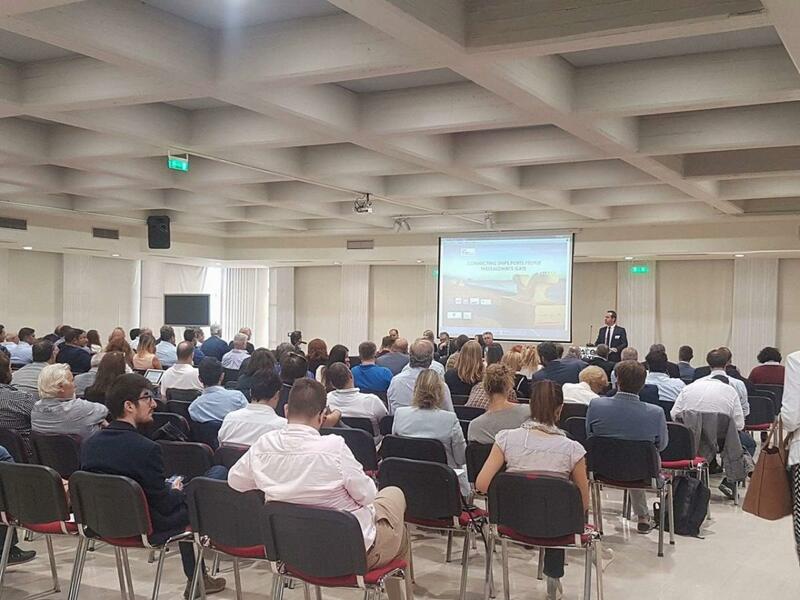 On the occasion of International Maritime Organization’s-IMO’s World Maritime Day, the European Parliament’s office in Greece and TIF (Thessaloniki International Fair – H.E.L.E.X.P.O jointly organized the conference “Connecting Ships, Ports, People-Thessaloniki’s Gate”, Wednesday 27th of September in Thessaloniki, in TIF. Starting with a very broad agenda and important speakers from different fields related with the development of ports and coastal entrepreneurship, the conference despite its long duration was attended by more than 200 registered professionals and scientists of the city and abroad. 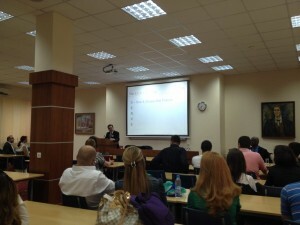 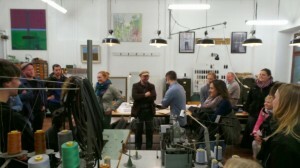 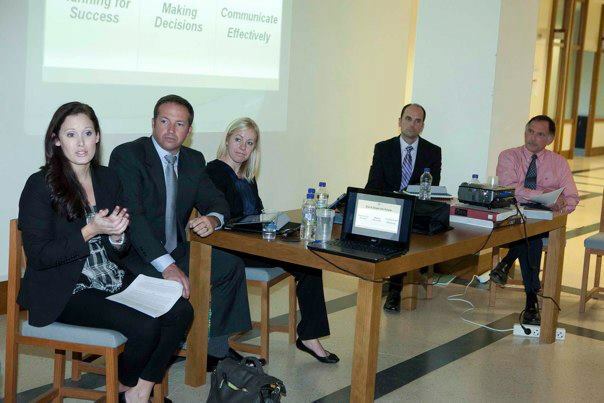 The conference evolved into an open discussion and exchange of ideas and information. 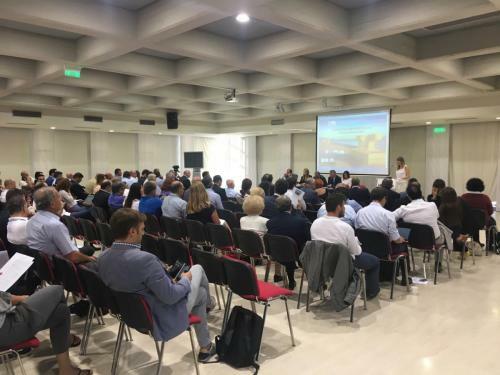 The aim of the conference has been the highlighting of Thessaloniki’s role as a city-port and gate to the region of Balkans and South Eastern Europe. 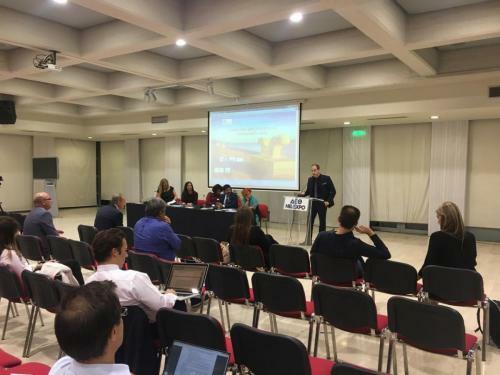 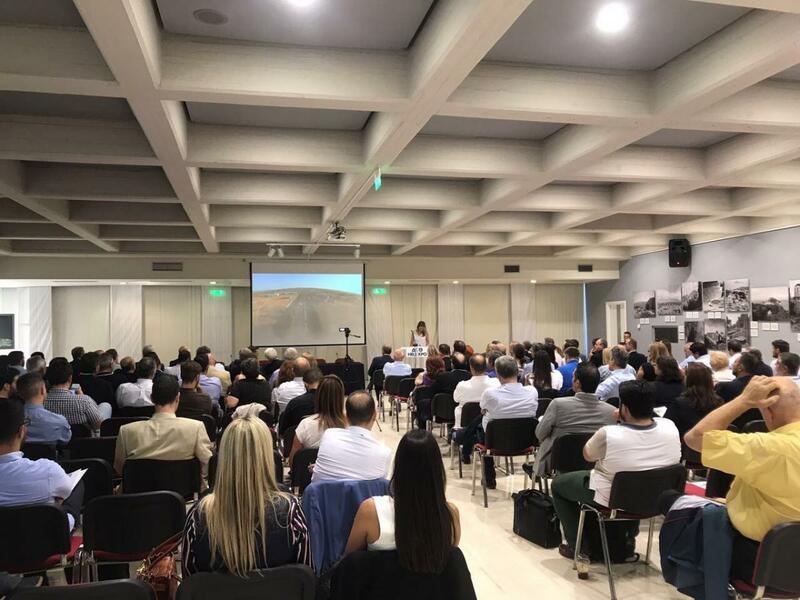 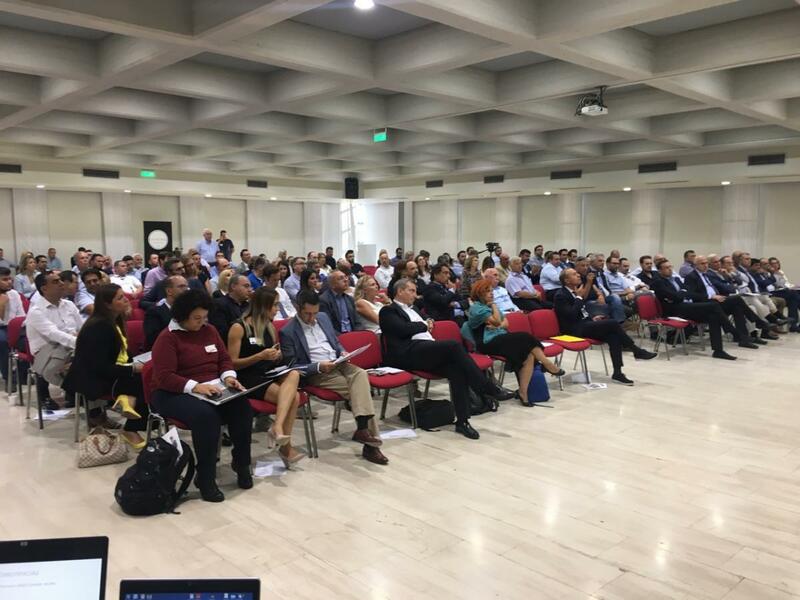 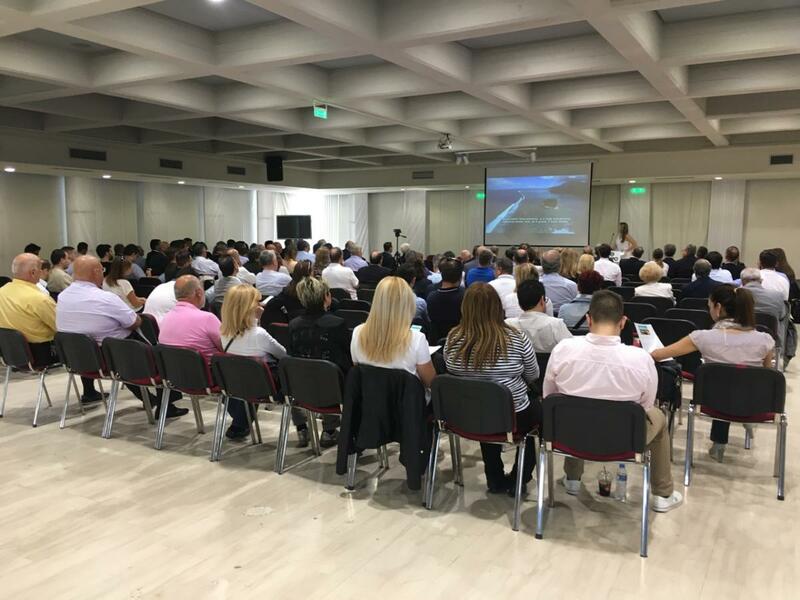 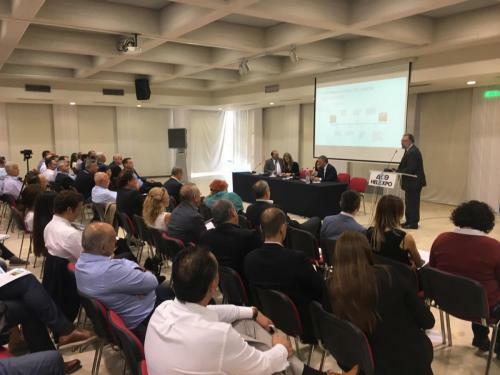 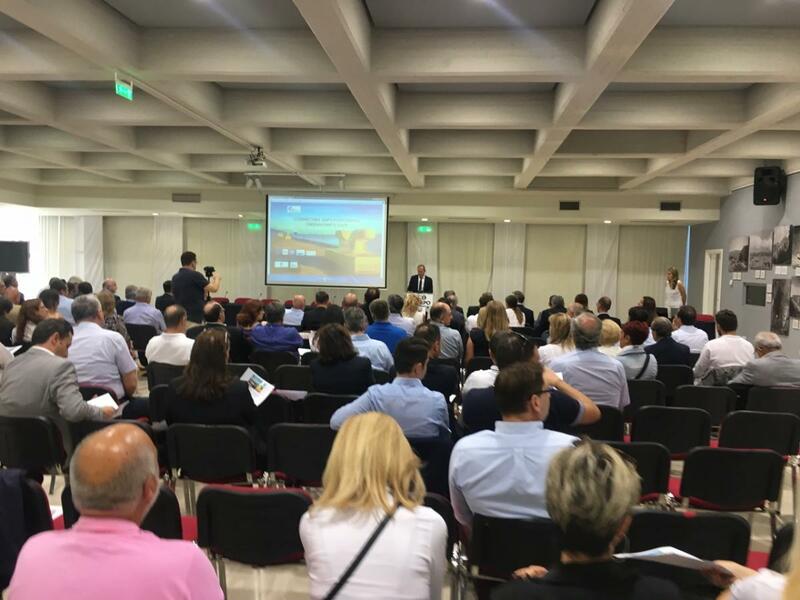 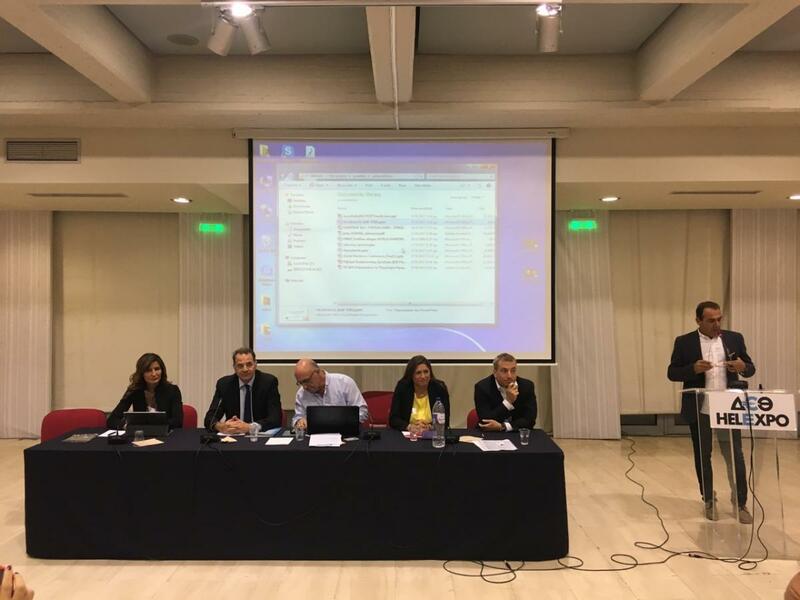 Moreover, the aspiration of the organizers has been the official establishment of IMO’s World Maritime Day in Thessaloniki as the day of an annual “meeting” of the city’s experts and officials with European and International stakeholders of maritime economy. After the presentation of IMO’s official video for the day, in the opening remarks, Leonidas Antonakopoulos, Head of the European Parliament’s Information Office in Greece, mentioned the importance of developing the port of Thessaloniki in relation to the wider EU maritime environment, the EU commerce and the energy-safety of member-states. 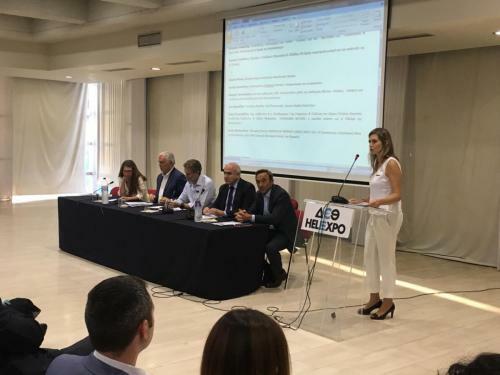 Kyriakos Pozrikidis, the host and CEO of Helexpo-TIF suggested that TIF could perfom much better with a functional port and vice-versa. 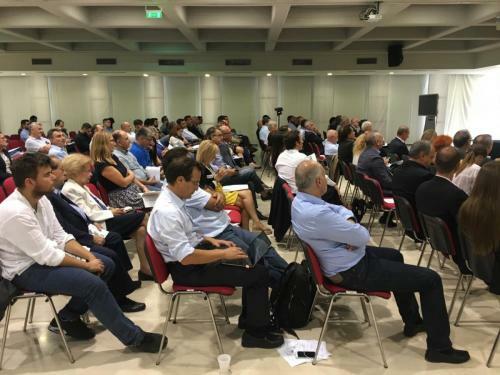 The Mayor of Thessaloniki Yiannis Boutaris, who support the event with the auspices of the Municipality, expressed concerns about the slow progress of the city on issues of primary economic importance and the weakness to absorb the benefits of innovation generated by the city. Hon. Philippe Ray, General Consul of France and Director of the French Institute of Thessaloniki, taking a brief look at the historical relations of the city with France, confirmed the timely interest of his country for Thessaloniki. 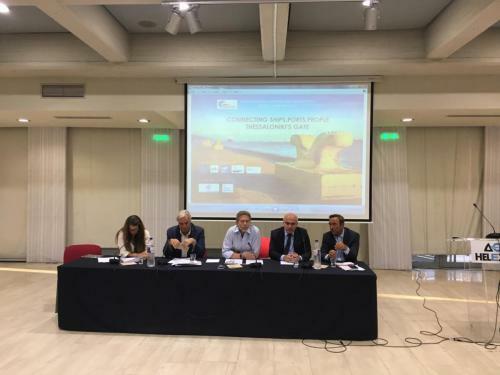 He mentioned that the port was constructed the first time according to Marseille’s port-standards and that now, a new company the CMA-CGM from Marseille aims to make Thessaloniki into a martime hub. Ms. Eva Kaili, MEP of S&D and Chair Scientific Foresight Unit, highlighted in points the challenges that require immediate legislative regulation by the European Parliament, referring specifically to the application of the Blockchain technology in shipping as well as to the financing opportunities for development of the marine economy and ports. Mr. Sotirios Theofanis, Coordinator of the Consortium DIEP GmbH – Terminal Link SAS – BELTERRA through a detailed presentation about the Strategies and Prospects of the Development for Thessaloniki’s port, stated the intention of the Consortium to immediately proceed with infrastructure, equipment renewals and other works in order to progress as soon as possible with the development and competitive operation of the port. Mr. Kyriakos Loufakis, President of Exporters Association of North Greece, spoke about the interaction between economy sectors and the city’s entrepreneurship and how the port would encourage the export sector. 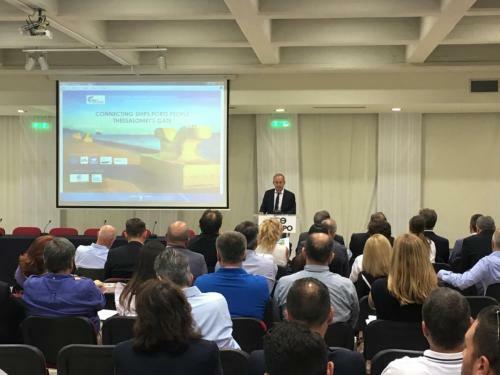 Christos Metios, Head of the Region of Eastern Macedonia and Thrace, spoke about the activity of his region and the impact on the local economy by the coastal activities including the drillings in the golf of Kavala City. 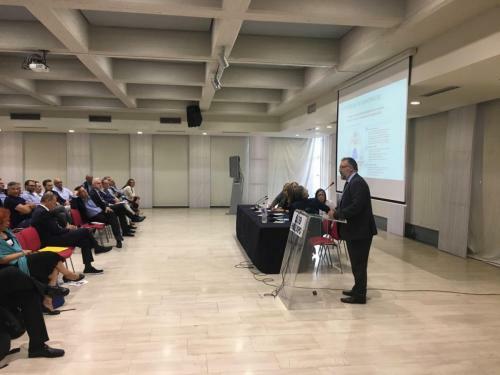 Prof. George Giannopoulos, corresponding member of the Academy of Athens, set with accuracy and brevity a series of interesting questions about Thessaloniki’s port after privatization and the new balance that will be shaped in the area. Ms. Aini Michailidou, President of Propeller Club Thessaloniki, pointed out the need to transform Thessaloniki’s port into commercial point of reference. 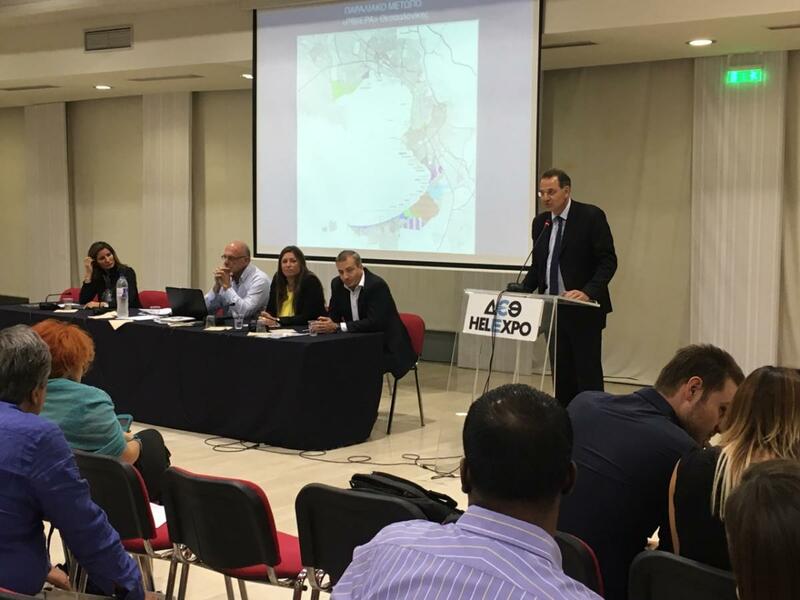 Paris Tsogarlidis, Municipal Councilor & Former Deputy Mayor of Technical Infrastructure Services & Urban Planning of the Municipality of Pylea – Chortiatis presented the pioneering design for the coastal front of the neighboring municipalities, graphically rendering the “big picture” for Thessaloniki’s Riviera. 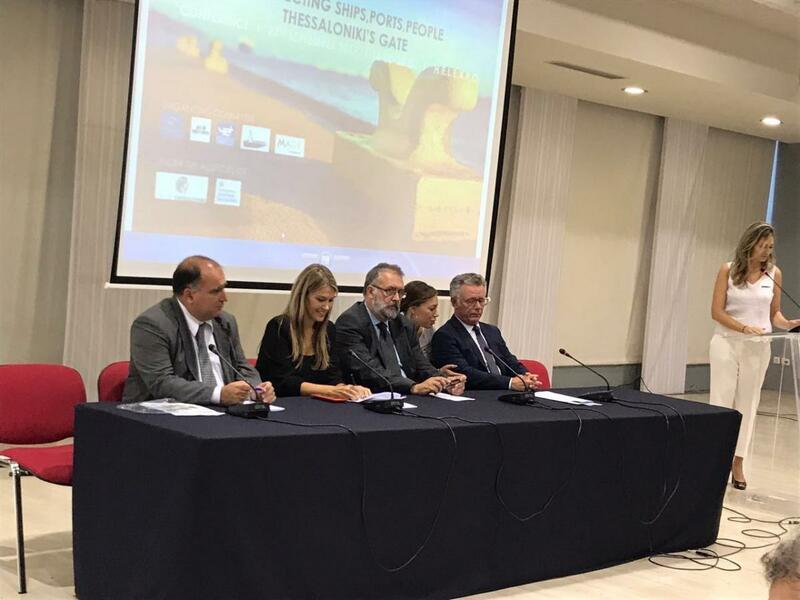 Also, important guest speakers from Athens, Piraeus, Chios and Rome honored the World Maritime Day Thessaloniki event! 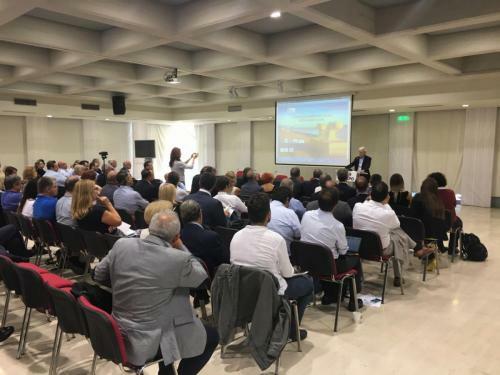 In particular, Petros Kokkalis, Executive Municipal councilor of Development and Entrepreneurship of the Municipality of Piraeus, described Piraeus port’s activities and the importance of City’s programmes in supporting and incubating maritime innovation start-ups. 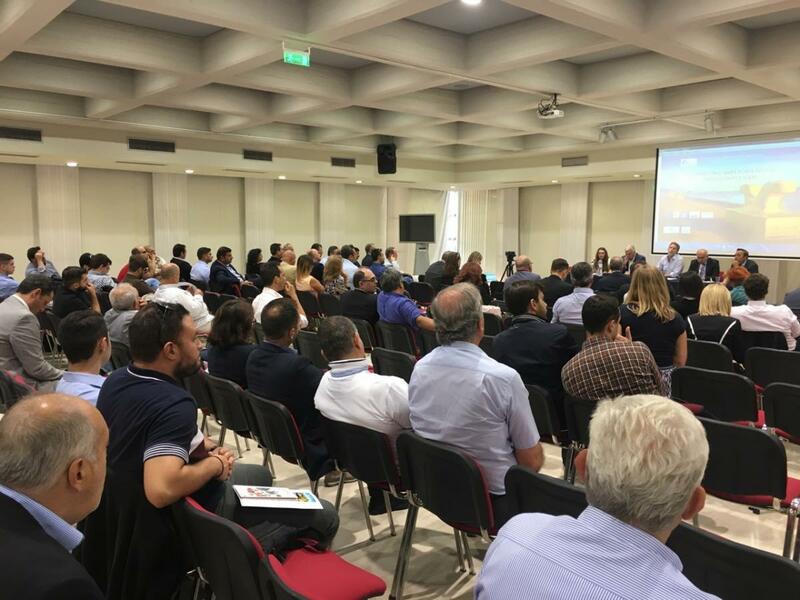 Ms. Danae Bezantakou, Managing Director, Navigator Shipping Consultants LTD, talked about the contribution of the Greek Shipowners to the global trade and the endless opportunities ahead. 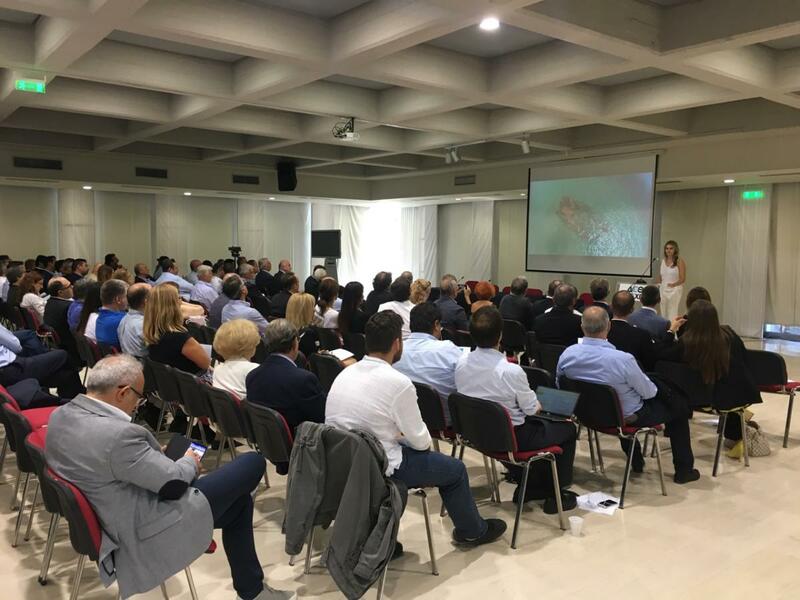 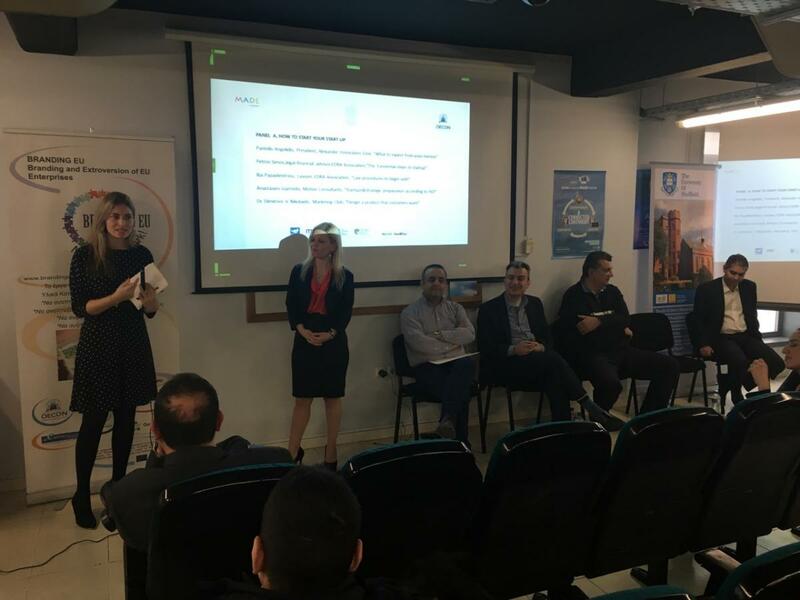 She introduced to the audience the new Greek maritime cluster of Piraeus and the initiatives to inspire and provide maritime knowledge to young professionals. Pavlos Geroulanos, former Minister and CFO of Kefalonia Fisheries, stressed the need for alliances as a prerequisite of development and he presented the advantages of Greece in fisheries. 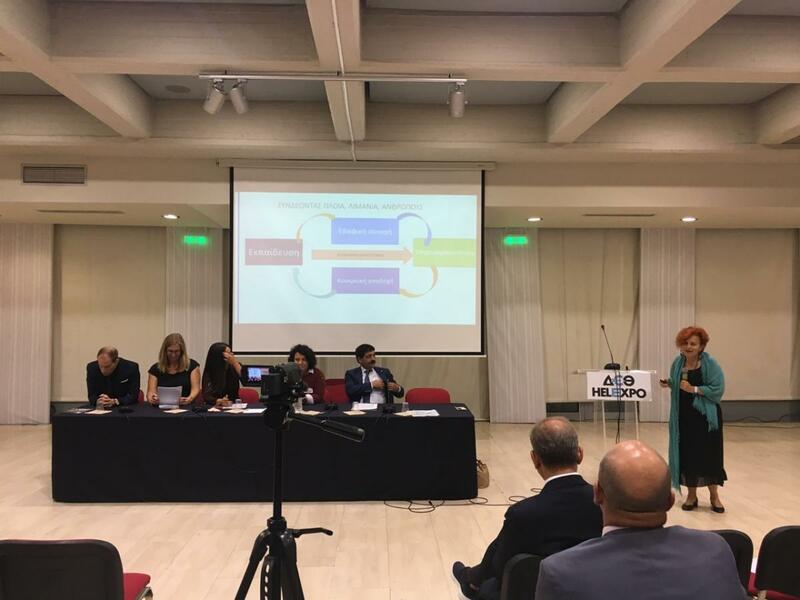 Ms. Maria Lekakou, Professor of Shipping and Business Services, University of Aegean, presented the inter-connection between education, entrepreneurship, and the market and the efforts of the University to encourage students to choose maritime professions. Marios Bougioukas, Shipping Department, BCA College, Athens, stressed-out the importance of the maritime education and the need to support the professional progress of young executives. 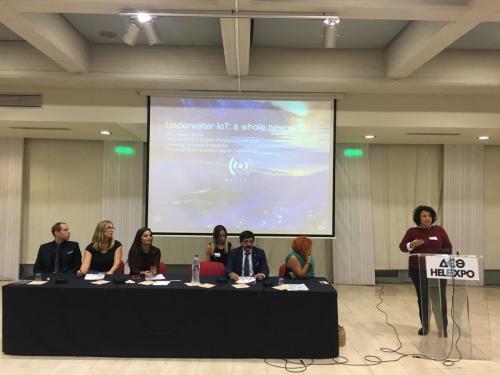 Last but not least, the professor of the University of Rome, La Sapienza, Ms. Chiara Petrioli, presented the innovative invention of her research team about “Underwater Internet of Things”, taking extraordinary comments and special technical questions from young people and students of the city. This discovery launches a new field of varied applications in areas such as shipping, “smart” ports and ships, fish farming, underwater archeology, etc., and encourages further innovation and partnerships. 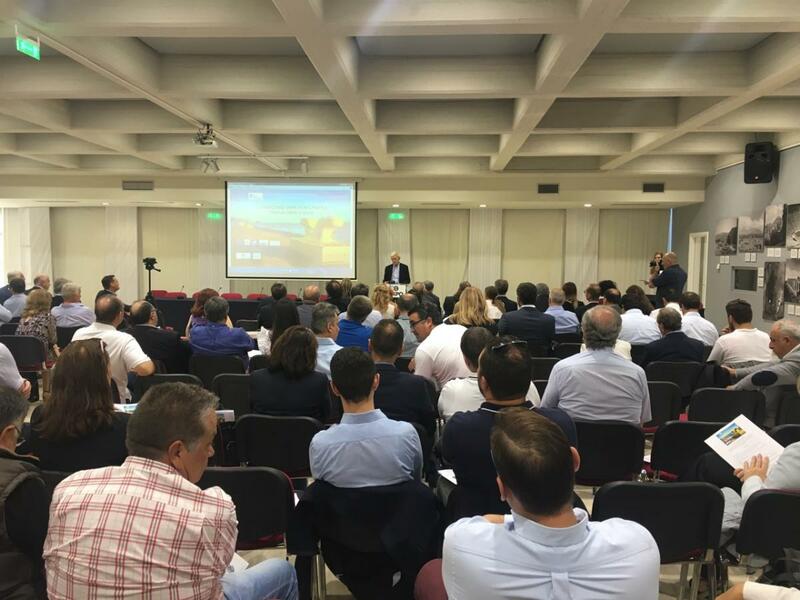 Special interventions with information about the companies and the organizations that they represent and the innovation element of their activity, were carried out by Antonios Boutatis, port scientist engineer of Rogan Associates S.A, , Konstantinos Moiras, Civil Engineer NTUA, MSc,. OOD SA – Beneficiary Support Group in Island and Remote Areas, Ioannis Fotiadis, President of the Association of Entrepreneurs of Thessaloniki, Genovefa Athanasiadou, North Aegean Slopes S.A, Stella Vareltzidou Biologist, coordinator of the Axios Louthias Aliakmonas Delta Axiou Management Agency, Zoe Giannopoulou, of the European Institute for Conflict Resolution. 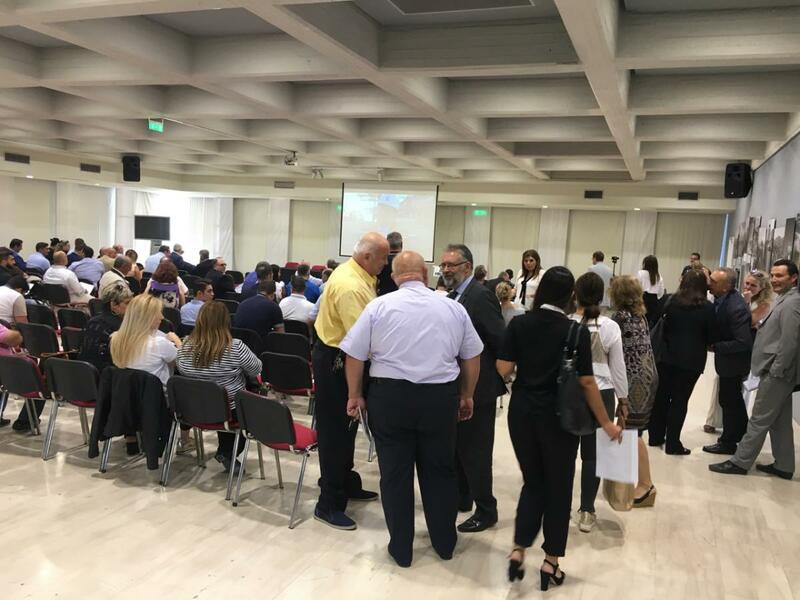 The floor was given also to representatives of official professional and scientific bodies of the city with characteristic interventions of Hon. 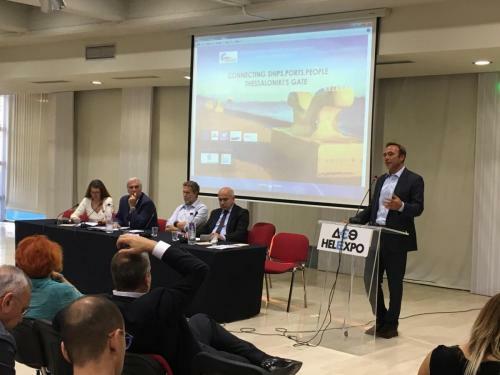 Andronikos Sinori, consul of Malta, who, as President of Thessaloniki’s Maritime Club and in the same spirit as the Mayor, underlined the need to promote the interconnection planning of the port of Thessaloniki and the Danube River and Prof. Georgiou Gotzamani, School of Engineering, at the Academy of mercantile navy of Macedonia. 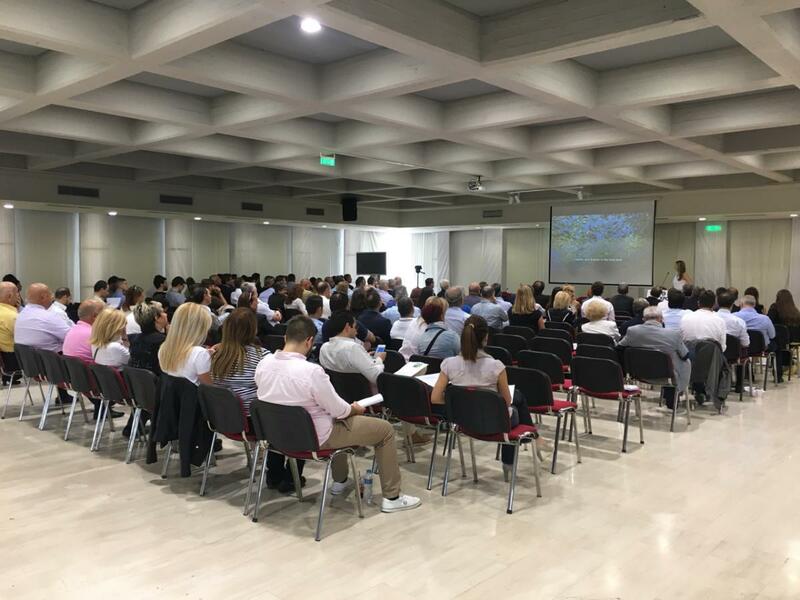 Honorable Consuls of the United States Mrs Rebecca A. Fong and Bulgaria Ivan Dinev were present, and representatives of the Port Authority of Thessaloniki, the Hellenic-German Chamber οf Commerce, the Professional Chamber, the Alexandria Innovation Zone, the Chamber of Trade and Industry, the Law Association EDRA, the Engineers’ Professional Association, the Custom-Services Employees Association and the Naval Agents Association, et al. 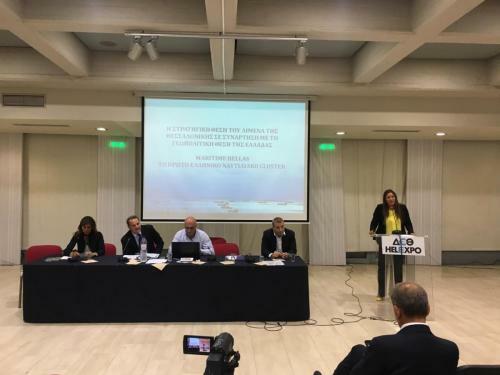 The coordination of the speeches and the interventions was undertaken by Mandalena Kaili and Vasilis Tsoulis of the organizing committee, and Stephanos Diamantopoulos, journalist of Thessaloniki Radio 94,5fm. Sponsor of the event was “Diamantis Catering” and key supporters were the European Business Review magazine, TV100 Channel, Radio Thessaloniki 94,5fm, the non-profit organization KEAN (Cell of alternative youth activities). 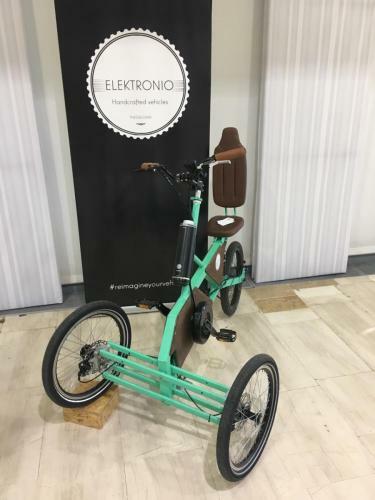 Director Theodor Tzartos provided the video “Bird’s Eye” for Thessaloniki, and the start-up Elektronio presented their innovative bicycle at the venue. 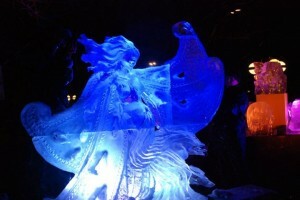 The curation of the organization of the event, was taken by the team “The Blueprints”, the nonprofit organization Young Entrepreneurs of Thessaloniki – YET and the innovative platform strategic communication MADE.